Ishan Shukla is one busy sophomore! In addition to his school work, he has been tackling water quality projects for NepRWA by exploring alternatives for cleaning up one of our biggest pollution problems – stormwater. You can see how stormwater runoff has affected our water quality in the Neponset and its tributaries from our sampling over the 2014 Citizens’ Water Monitoring Network sampling season. Ishan’s first project was to test for bacteria pollution during rain storms to see how the timing of the storm affected the levels of bacteria. He found that in-stream bacteria levels rise – significantly – during rain events. Bacteria in surface waters can present a public health risk, and it is important to think about the best way to keep our water clean. You can read more about that study here. 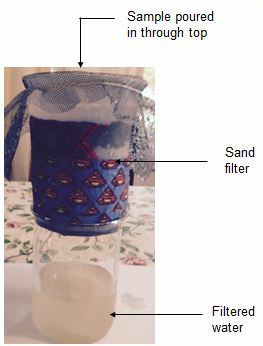 He followed up this initial project with a study of sand filtration as a way to reduce bacteria in water. Using samples collected from one of our CWMN sites, Ishan was able to design a sand filter that reduced bacteria by up to 97%. Ishan was innovative and tested different configurations of sand filter to determine the optimal design. Click here to see a PowerPoint presentation of Ishan’s research results from his second experiment. Another research project explored more ways to remove bacteria from polluted water. 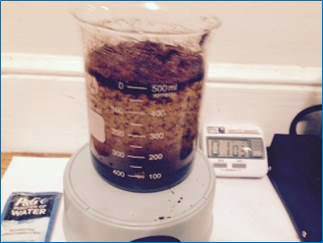 Ishan studied three different treatment methods – coagulation and sedimentation, filtration, and disinfection. Using various materials, Ishan was able to determine the effectiveness of nine different treatment scenarios. He found that bleach and UV light were among the most effective at removing bacteria, but even a simple sand filter was able to achieve 80% reduction in bacteria levels. Click here to see a PowerPoint presentation of Ishan’s research results from his third experiment. Ishan is a very motivated researcher and plans to follow up with more work to determine the effectiveness of rain gardens at removing bacteria. Rain gardens are gardens built into depressions into the ground to treat polluted runoff naturally using plants and soils. Rain gardens are a practical and aesthetically pleasant way of treating polluted runoff on a small scale. 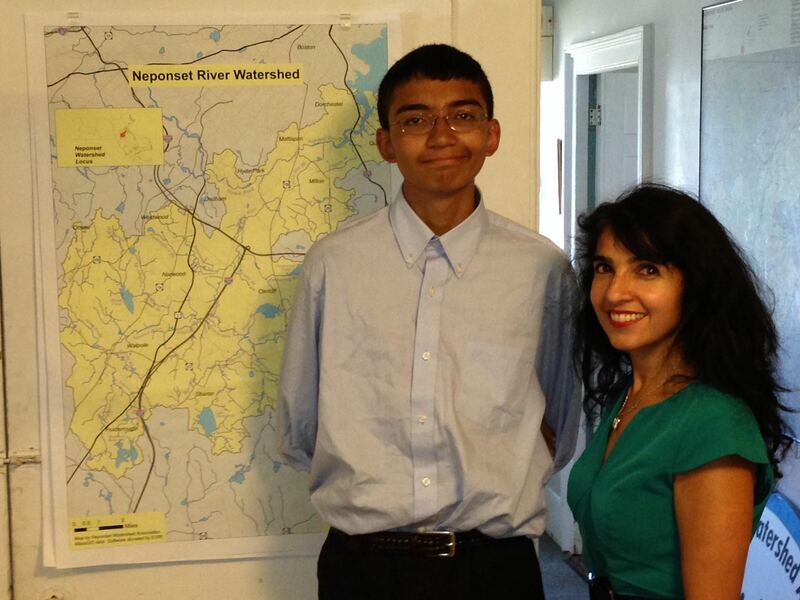 We’re very impressed with all of the research that Ishan’s been doing on water quality in the Neponset Watershed. Keep up the good work, Ishan! Please feel free to contact Sarah Bounty (bounty@neponset.org) with any questions, or if you have your own idea for a research project to tackle. Ishan should be congratulated for conceiving, planning, and executing such a worthwhile project. Teachers who encourage students to study the environment and society right around them are to be congratulated as well; it is easier to simply rely on textbooks describing distant experiences of someone else. The PowerPoint is both methodical and rich. One question I am left with is whether massively reducing e coli is sufficient to prevent ill health. If e. coli is present at all, does that not pose a danger? Thanks for the message, Carey. You are correct that E. coli can indicate there are other things present in the water that can pose a health risk; including other bacteria, viruses, and parasites. Reducing the amount of E. coli will likely remove many other health risks as well, because the same processes that reduce E. coli will work on many other disease causing organisms. Additionally, low levels of E. coli indicate a vastly lower health risk than some of the high numbers Ishan saw with his initial samples. This is great news. Any response from the High School? Would other students be inspired by his work? Seems like this was done outside of school but the presentation is very well done for someone his age.